Our latest ranking of America’s Top 100 Courses You Can Play has something for everybody. We’re well aware, however, that while every course is accessible, not all are affordable. To shine the spotlight on the top value courses, here are our picks for the 10 best bargains among the Top 100, based on where they rank overall and the price they charge for the market they’re in. A little pricier, perhaps, than some on this list, it justifies its value status by being a fairly-priced layout that dishes out TPC-quality service, amenities and conditioning, together with a distinctive layout that was lavishly praised by 2003 John Deere winner Vijay Singh. No doubt past champions Jordan Spieth, Steve Stricker and Zach Johnson feel the same. Twilight play starts at $69. Situated between 6,500 and 7,000 breathtaking feet on the eastern side of the Sandia Mountains, 25 minutes from Albuquerque, Paa-ko dishes out a series of option-laden desert jewels that tumble through junipers, cedars and pines, forming a surprisingly green backdrop to many holes. In prime time of April to October, rates will save you some green -- $92 weekdays, $62 after 2 pm. It seems as if Wisconsin is vying for national supremacy as the state with the greatest public golf, but while many of the state’s top tracks are expense-account only, along comes sleepy old-timer Lawsonia Links, which blends prairie-style aesthetics with a Golden Age design that harkens back to Donald Ross and Seth Raynor, all at a Golden Age price. Find a nice day after October 3 and it’s $35 to walk. 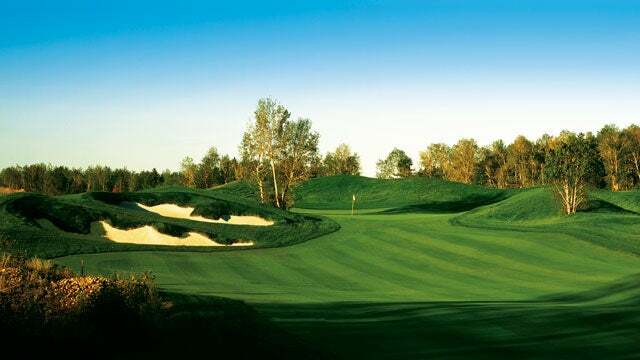 Situated 45 minutes east of Columbus, the course formerly known as Longaberger is a 1999 Arthur Hills design that mixes open and wooded holes, all flawlessly groomed. The downhill plunge at the par-5 5th and the long par-4 8th that’s backdropped by a lake are two of the Midwest’s best. For $129 during the week, you can play all day long. Some question whether the Quarry is even the best value on property, given the popularity of its younger sibling, the Legend, but slight edge to the elder statesman, a Jeff Brauer creation hewn from the remnants of a rock and sand quarry in an old iron ore mine. Highlights include giant boulders, massive sand waste areas and a price tag that’s been chopped to bits by a sharp pickaxe. Through late spring (May 26 in 2016), 36 holes would set you back $100. Situated in Colorado’s northwest corner, this 2001 Jim Engh design dishes out one unique, stunning hole after the next. Most memorable is the collection of par-3s, with three of them free-falling heroically from tee to green. A horseshoe-shaped rock wall frames the 8th; the 12th is backdropped by the Colorado National Monument. A year ago, rates were $85-$105. At today’s prices, this isn’t a deal, it’s a steal. South-central Nebraska is a long way from anywhere, but it’s worth the trail ride to get to Wild Horse. Tall native grasses and links-like bunkers call to mind Scotland, on the one hand, and its near neighbor, Sand Hills on the other, which comes as no surprise, because course architects Dave Proctor and Dave Axland were instrumental in helping Bill Coore and Ben Crenshaw bring Sand Hills to fruition. It’s only $45.50 to walk, Monday through Thursday. Nobody really wants to play Florida golf in the summer, but for $40 at a Tom Fazio masterpiece, we’d play all summer long. With its forced carries over sandy waste areas and pine-framed, risk/reward holes, Pine Barrens is intended to resemble Pine Valley. It’s an hour-plus ride north of Tampa into Nowheresville, but even at high season, mid-winter prices, World Woods is well worth the journey. 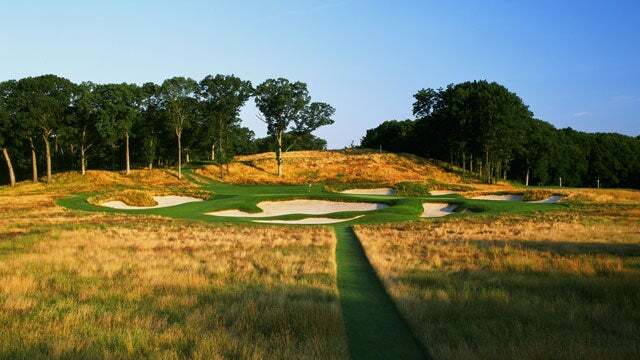 New York State residents pay just $65-$75 to walk this feared but respected two-time U.S. Open venue, an almost incomprehensibly paltry sum to play a course this good. Though it’s a tough tee time to snag, outsiders can walk this A.W. Tillinghast design for $130 during the week, $150 on weekends, with twilight rates starting at $78. Even at $150, that’s less than half the price of the average Top 10 course. Perhaps the best bang for the buck in the United States, this Gil Hanse/Jim Wagner/Geoff Shackelford design 45 minutes north of L.A. is an amazing throwback layout that emphasizes thinking, placement and proper angles, thanks to firm, fast conditions and bunkers and barrancas that cut in at just the right places. Rustic can be had for the laughably low price of $36 Monday through Thursday, $39 on Friday and $59 on the weekend—all after 11:00 am.